The region’s most comprehensive Cosmetology, Manicurist, and Facial Specialist. Career Programs with classes beginning on the first Monday of each month. To instill in every student and employee a commitment to pursue excellence in performance, with emphasis on instructional endeavors. Star College of Cosmetology was founded March 1, 1991 in Tyler Texas. Throughout the school’s history, school administrators and educators have worked tirelessly in developing a unique and comprehensive system that continues to be taught at Star College of Cosmetology. 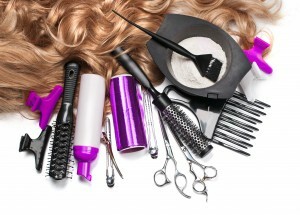 Star College of Cosmetology (established in 1991) is licensed to operate schools for cosmetology training by the Texas Department of Licensing and Regulations 920 Colorado, Austin, Texas 78701. The school is accredited by the National Accrediting Commission of Cosmetology Arts and Sciences, 4401 Ford Ave., Suite 1300, Alexandria, VA 22302-1816. Our mission is to provide students with as much practical experience, technical information, and artistic design as we can in a short space of time so that our students can pass the state exam, become employed for entry level positions and meet the challenges of this ever changing profession. To be a comprehensive cosmetology school meeting the needs of the people of the community by offering the best instruction and programs developed by our available resources. To maintain quality programs that enable our students to successfully pass the state examination, obtain a license, and become gainfully employed as an entry level cosmetologist, nail tech., esthetician or cosmetology teacher by revising programs or courses as needed. To maintain a campus atmosphere conducive to learning, with emphasis on the salon atmosphere training. To maintain an institution which operates on the basis of dignity and worth of each individual student and employee with an atmosphere of mutual cooperation, trust, and support as each strives for success in his/her area of responsibility. To provide a qualified teaching staff by exceeding the continuing education requirements of the State of Texas. To provide a clean and well maintained facility, good working equipment, an updated structured curriculum, an expansive audio and visual library, a reference library, and a salon management system. To maintain an active recruiting effort reaching out to outstanding students, students inadequately prepared for college, minority students, and adult students. To be committed to self-evaluation through which the quality of programs and services is brought under regular appraisal and evaluation. To continuously survey the constituency of present and former students, clients, and salons to determine the extent to which these goals are being met.